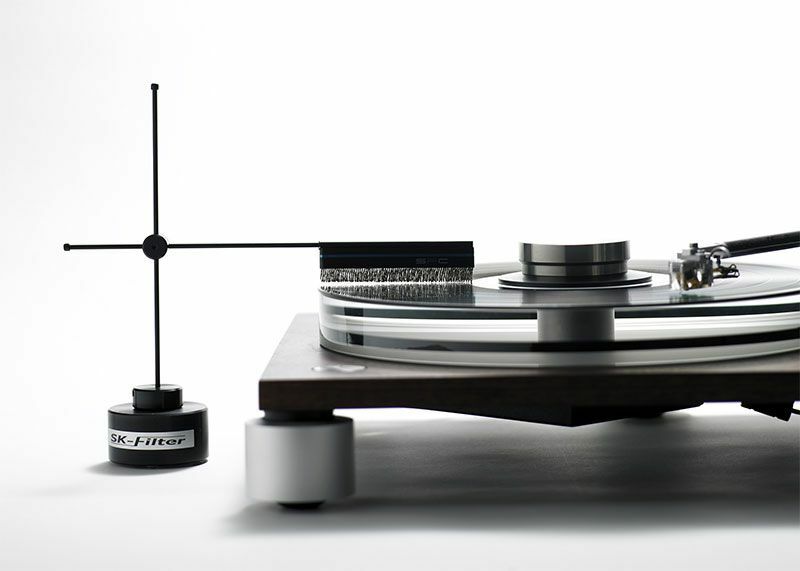 The Furutech SK Filter is the latest generation Vinyl LP playback anti-static solution. As a vinyl afiocionado you may be aware of the following: as LPs spin on your turntable, friction with your room's air can cause your LPs to constantly, and incrementally gain a static charge. Frictional static electricity for LPs has been measured as much as 3,000~20,000 volts!!! The new, revolutionary Furutech SK Filter solves this problem as your vinyl spins on your turntable, eliminating the potential for induced electrostatic noise and deteriorating sound quality for good! Without touching the surface of an LP, the Furutech SK Filter dissipates any static charge on your LP, by releasing it back into the atmosphere. It does this using a material called Thunderon®. Thunderon is a unique conductive filament material that consists of a very fine acrylic fiber chemically bonded with copper sulfide. The exact combination of fiber quantity and fiber length required for effective static elimination on LPs has been extensively tested by Furutech, to find the perfect solution. 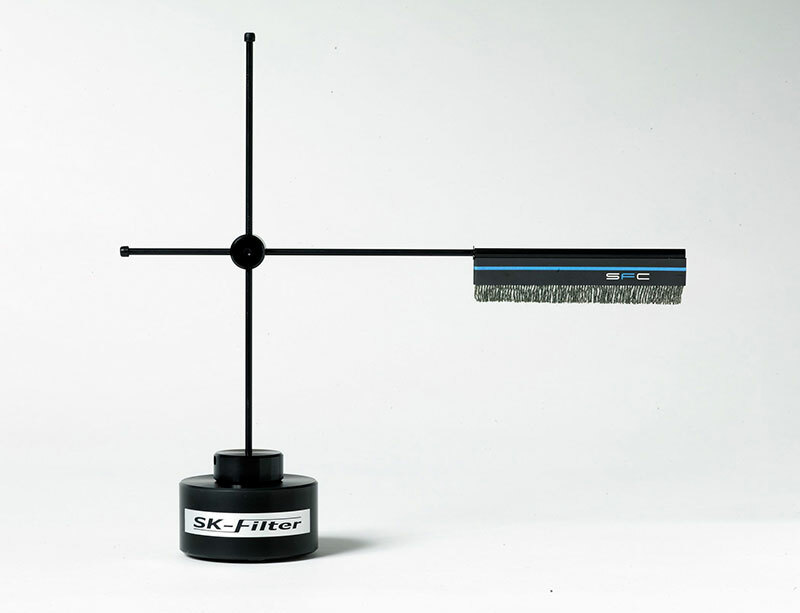 The SK-Filter’s super static eliminating brush with its well-designed, easy to use stand is the perfect complement to your turntable and ultimately... your listening pleasure. NOTE: SK-Filter’s fibers should not touch the LP. 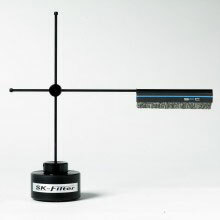 Simply set the brush 1mm above the LP surface.